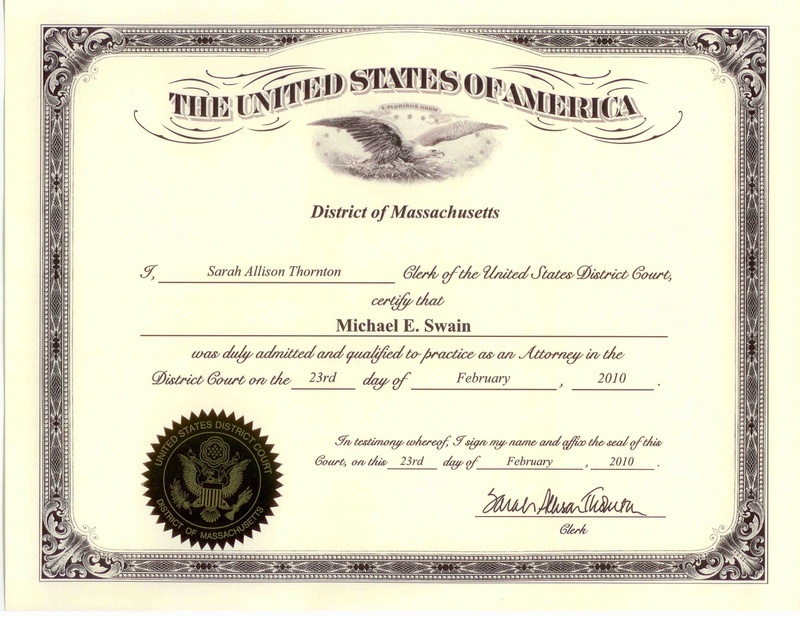 I am pleased to announce the addition of a third jurisdiction in which I am licensed to practice, the United States District Court for the District of MA. This allows me to better serve my clients by being able to represent them in Federal Court. 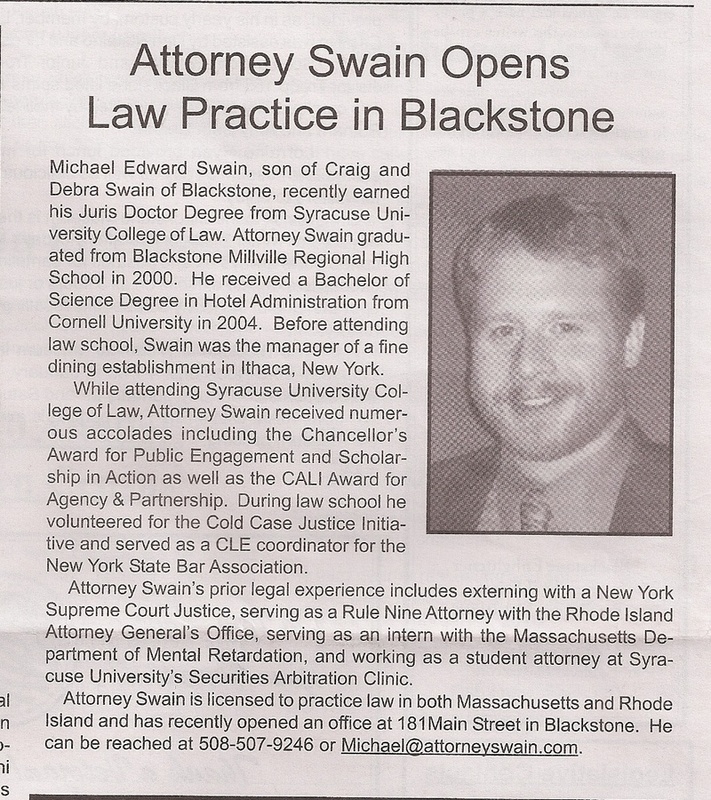 On Tuesday February 9, 2010 Michael Swain volunteered to serve as a mock trial judge. As part of the Mass Bar Association's Mock Trial Competition Bellingham faced off against Franklin High School. Congratulations to both teams, who performed extremley well. Franklin will be moving on to the next round of competition. Good Luck. Here is a scan of a Blackstone Enlightener Article from the Jan. 2010 edition. I am pleased to announce the opening of my new office. 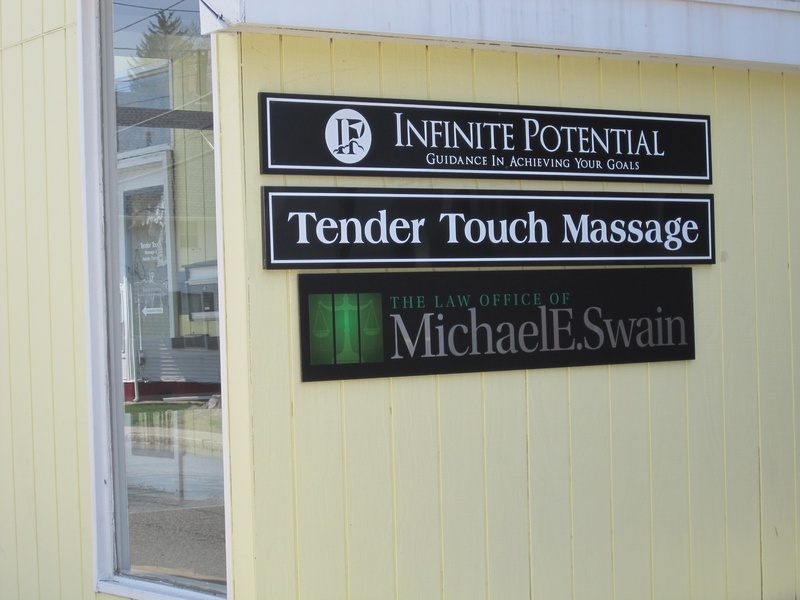 I am now located at 181 Main St. Blackstone, MA.